Every year about 12,000 to 16,000 children below ve years die of sickle cell disease with districts of Gulu, Lira, Kitgum, Dokolo, Oyam, Tororo, Jinja and Kampala witnessing a high burden with a prevalence of 20% and a disease burden ranging between 1% to 5%. It was against this background that Mildmay Uganda took the initiative to participate in the sickle cell awareness campaign organized by zone S2B of Watoto church Lubowa in partnership with Uganda Sickle Cell Rescue Foundation (USCRF) and Uganda blood transfusion services (UBTS) held at Lala’s day care and pre- school in Lweza. 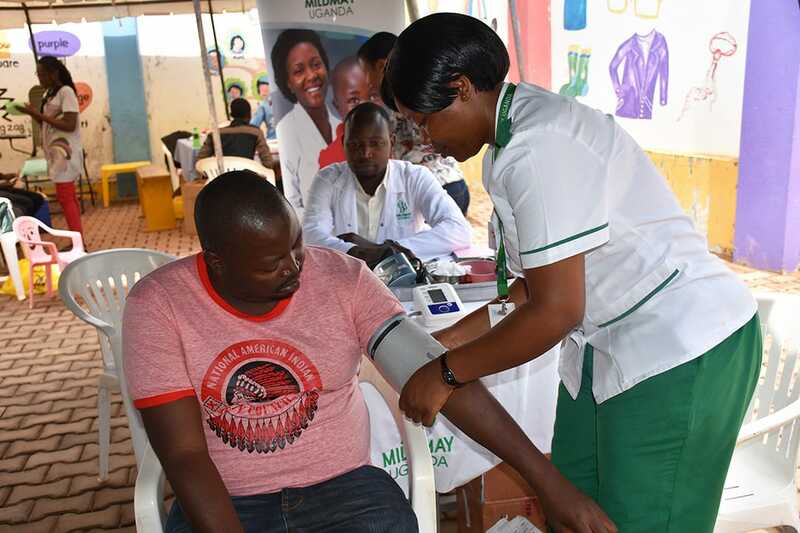 Mildmay Uganda offered various health related services to over 140 people and these included; HIV testing and counselling, nutritional education, Cervical cancer screening, dental checkups and information education and communication materials.